“The use of craft in contemporary art means a dedication to materials and processes, though not entirely as a path to perfection and polish. On the contrary, the craft approach shuns aesthetic perfection as a reaction to the omnipresence of technology in everyday life, including art production. In this exhibition, Carmel Lim-Torres, Steph Palallos, and Josephine Turalba create diverse art foregrounding the handmade. They express personal experience rather than a collective social message. 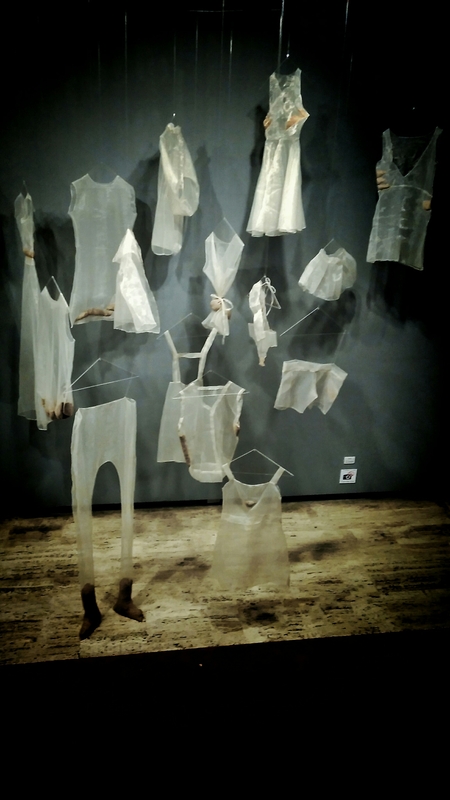 Consider leatherwork as a means to re-imagine views from place memory, or sewing to construct garments that expose the ailing body, or cutwork applied to paper, ceramics and wood to express hope amidst ecological peril.